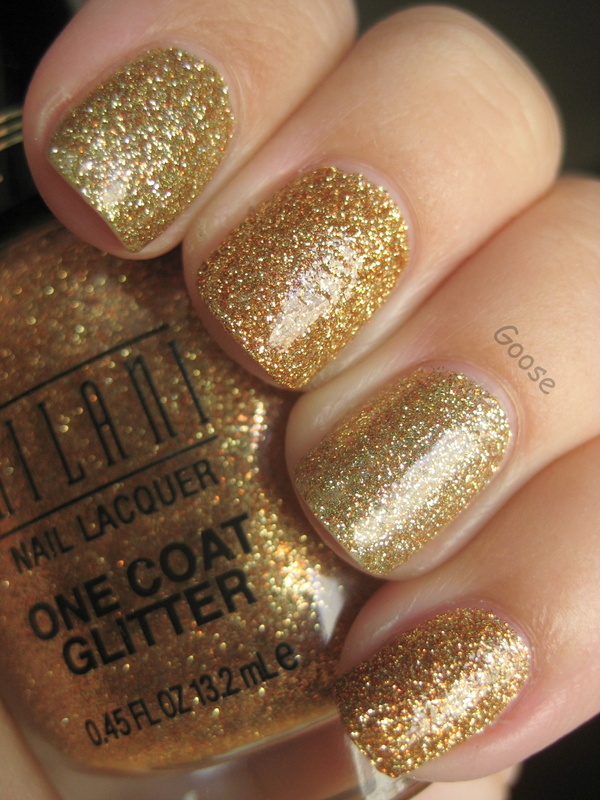 The Milani is definitely more orange/coppery while WEW is more traditional warm gold. Both look wonderful on my skin which has yellow base tones. They both take two easy coats, though I applied the Milani a little unevenly because I was impatient. Also, the Milani is shown with only one coat of Seche Vite on top, but I had put two coats (which sunk in a little over time) on WEW since it was a full manicure. Both are mostly smooth with two coats of SV. Honestly, I don't know which I like better! They are most certainly not dupes, and they both have excellent formula (and of course, both are a pain to remove). I'll probably be wearing both this holiday season, along with all my other festive reds, greens, whites, and glitters!